Ok, but Haseon with his sister is the cutest thing ever. Look at them being so happy. And I'm pretty sure his sister would definitely be used against him. I'm not ready for that yet. I think Kim Sang Kyung is a regular at this bakery... and the owner is saying that Kim Sang Kyung was working hard to promote The Crowned Clown to him. I bet he's showing him the teasers hahahha Kim Sang Kyung looks so proud. There were new teasers out yesterday and they're so hilarious! They even used the background music from Masquerade. LMAO when Kim Sang Kyu literally said Jingoo doesn't have "energy". The actual English world I died xD Jingoo is so gonna rock this role. Last teaser we saw, he was looking so crazy and frigging terrifying, but this time, he's a bumbling adorable marshmallow! There is also a new making video out! It's behind the scene clips from the making of the teasers! ♥ Jingoo and Seyoung are sooo cute! Jingoo was asking Seyoung to pay up for using the "king's room" and the two bargained HAHAHAHA. BUT WAIT THERE'S MORE! The two are also recording today for Amazing Saturday to promote The Crowned Clown!!!! This looks absolutely gorgeous . I haven't watched the movie so I'm going in without knowing anything. The tone is dark and I'm interested how the clown turns everyone's lives upside down lol. Someone knows how many episodes are there? There is no official information on the number of episodes yet. I have updated the first post with character stills and the character chart. @Jillia Wow this picture is so pretty, thank you for posting it here! Thanks for all the updates~ the new poster is sooo pretty and the trailer is amazing! I can't wait for the longer trailer ans the highlights clip! 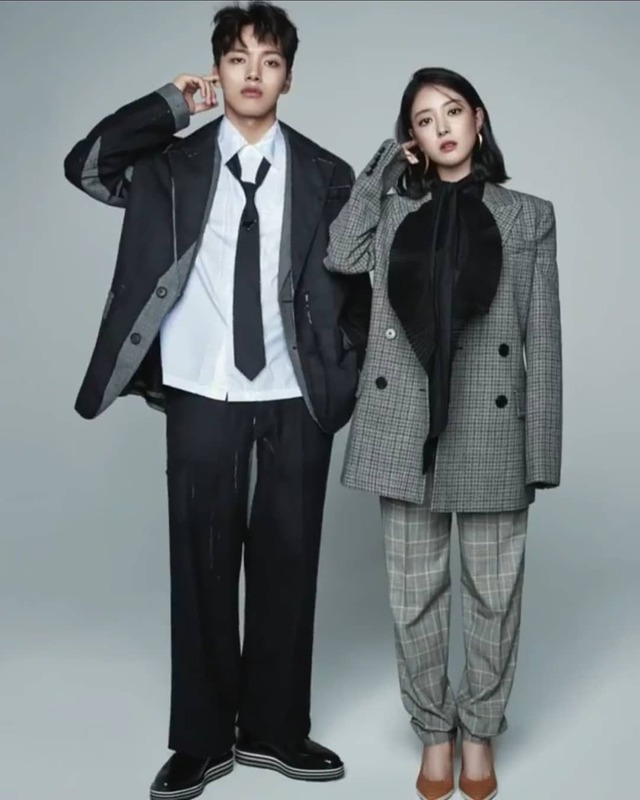 Behind the scenes cuts from their Cosmopolitan Korea January 2019 shoot - posted by Lee Se Young's agency, Prain TPC - ahhh so much chemistry already!!! Director Kim Hee Won did an interview talking about the cast and why she chose The Crowned Clown as her latest project.